Carter Lavigne may never face this kind of pressure again and he handled it with grace beyond his years. 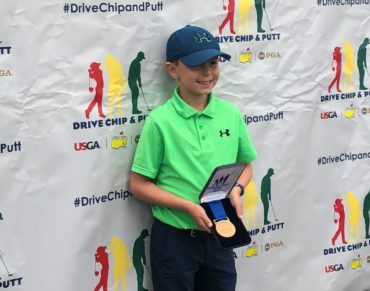 The nine-year-old from Moncton competed at the national Drive, Chip and Putt finals on Sunday at Augusta National Golf Club – meaning he played the same 18th green and share a clubhouse with the best players in the world. Carter admits the experience was unforgettable, but he was never overwhelmed. 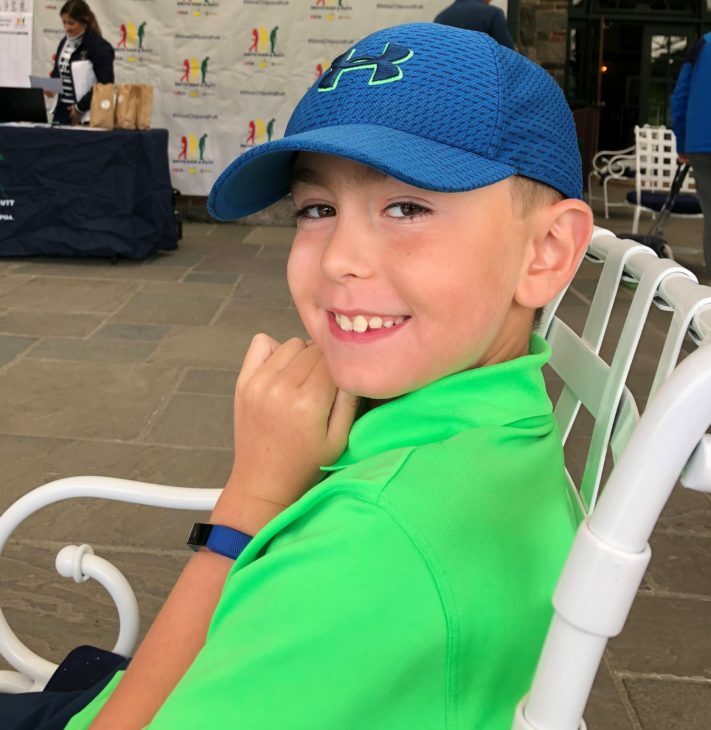 Carter, who plays out of the Moncton Golf and Country Club, qualified for the national event by winning or placing second at events last year in Maine, Massachusetts and New York. More than 17,000 youngsters attempted to qualify and only the top 80 advanced to compete at Augusta. Carter qualified in the 7 to 9 year-old category, which featured nine other players. Carter and Darsey arrived in Georgia four days before the competition to play some practice rounds. On Sunday, Carter, his dad, his mother Melissa, two-year-old sister Lainey and five-month-old sister Everly were ceremoniously driven down fabled Magnolia Lane to the practice range, where the young New Brunswicker was working on his swing beside several pros. Fifteen minutes later, the competition was on and it was being shown on the Golf Channel. Carter topped his first drive before connecting for a solid 140-yard effort on his second and final rip. Later, his chipping and putting worked out the same way. His first attempts were not up to his usual level, but he rebounded with a better showing in his second attempts. “There was a lot pressure, with a lot of attention and big crowds everywhere,” Darsey said. 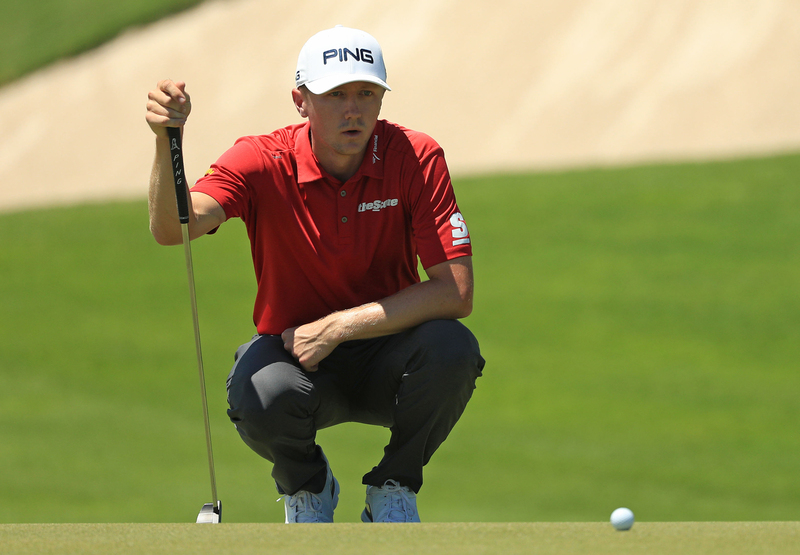 “I don’t think he’ll every face that kind of situation again, no matter what he does in golf in the future. Carter called it a learning experience, noting he never thought he could play in such a stressful situation, but he was pleased to find out differently. Carter wound up finishing 10th, but Darsey reminded him of the difficult road he followed just to qualify. Carter said he received lots of calls and messages of encouragement from golfers back home.